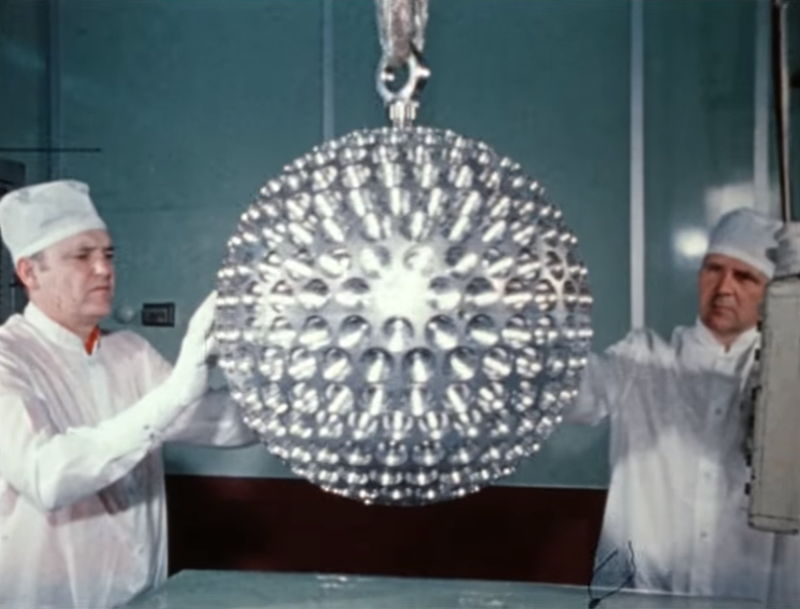 A Laser-Reflecting Sphere Two Feet in Diameter will Crash into Earth in 8.4 Million Years « Adafruit Industries – Makers, hackers, artists, designers and engineers! Wow. So that’s up there! 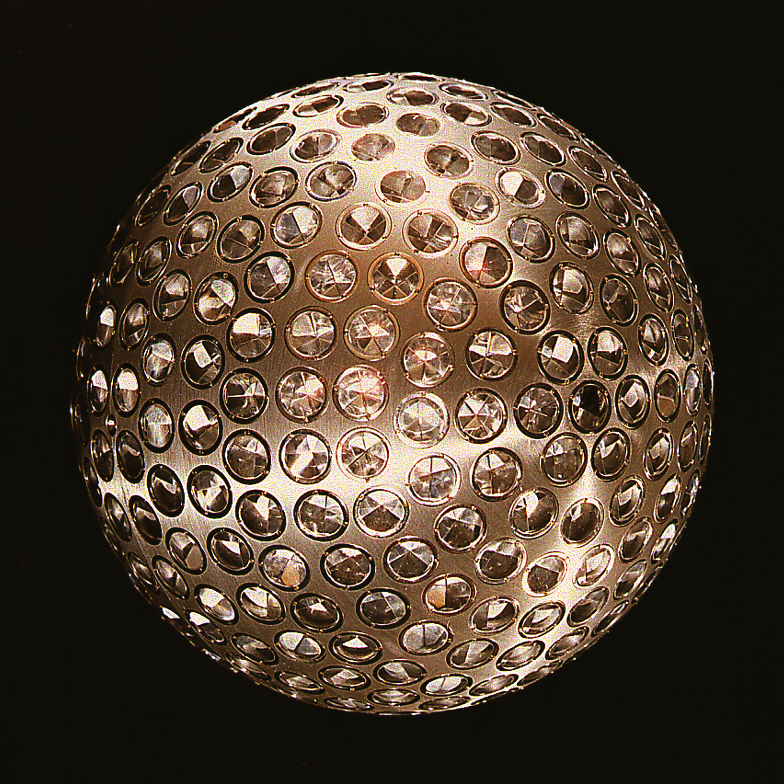 LAGEOS-1 (which is predicted to re-enter the atmosphere in 8.4 million years) also contains a plaque designed by Carl Sagan to indicate the general epoch LAGEOS-1 was launched to the future of humanity. The plaque includes the numbers 1 to 10 in binary. In the upper right is the earth with an arrow pointing to the right, indicating the future. It shows a #1 indicating 1 revolution, equaling 1 year. It then shows 268435456 (in binary) years in the past, indicated by a left arrow and the arrangement of the Earth’s continents at that time. 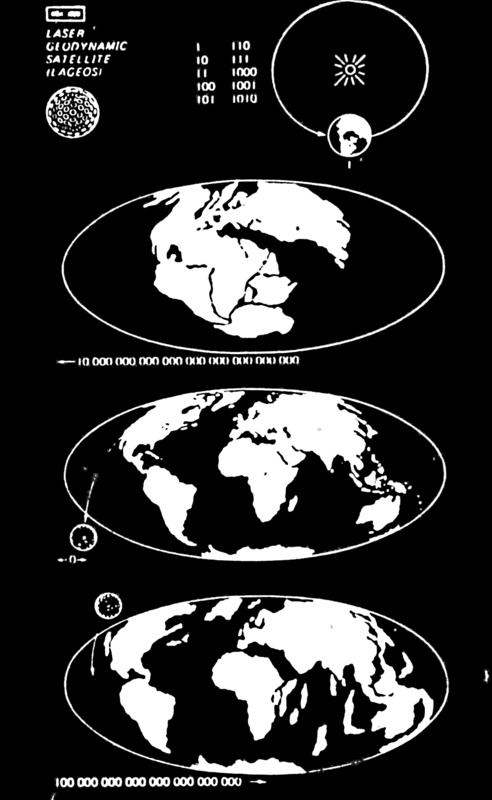 The present is indicated with a 0 and both forward and backward arrows.Then the estimated arrangement of the continents in 8.4 million years with a right facing arrow and 8388608 in binary. LAGEOS itself is shown at launch on the 0 year, and falling to the Earth in the 8.4 million year diagram. Watch the video below, and read more on LAGEOS here on Wikipedia.